Purchase a Stocktaking Event Licence from the website to enable an unlimited number of products to be scanned to undertake a full stock take. 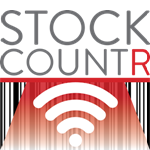 For every new stock take at the same location, or a different location, you will need to purchase a new Stock take Event Licence. Don’t Have any Barcodes to Scan? No problems – after you import your products you can create your own internal barcodes and print them off in A4 format. 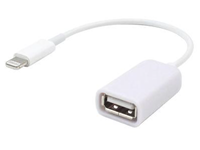 A USB adapter is not compatible with an OTG USB adapter. Ensure that the male plug of the adapter is compatible with your mobile device. For example, Samsung phones are Micro USB type. 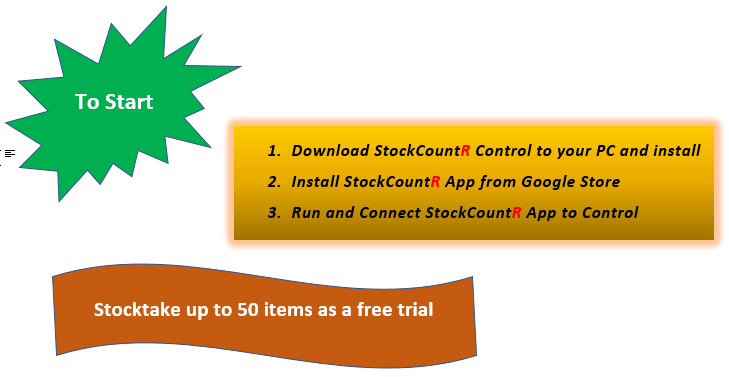 Download the User Guide for more detailed instructions on using StockCountR. You will need to have a .pdf reader installed.